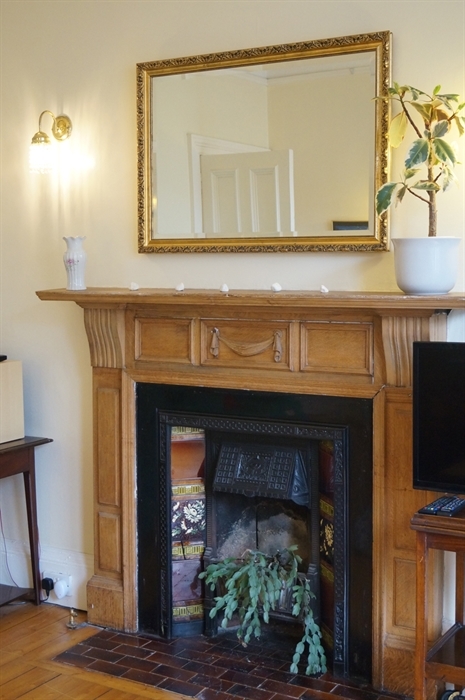 A beautiful, bright, centrally located two-bedroom second floor apartment (sleeps 1–5) situated just beside The Meadows. 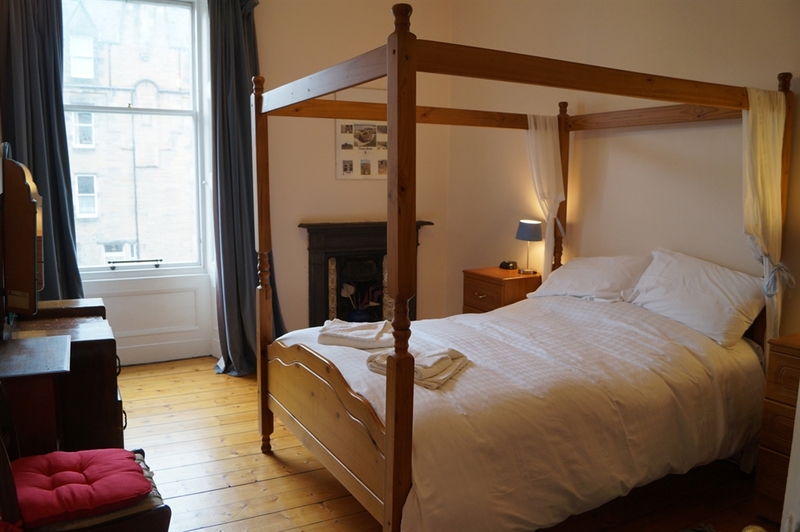 It's on the doorstep of the University of Edinburgh and is within easy walking distance of the major tourist attractions, festival venues, shops, restaurants, cafes and transport connections. Save even more this winter! If you stay with us for 7+ nights during January and February we'll give you 25% off the total cost of your stay. To get this offer just enter promo code WINTER19 when you book online on our website. 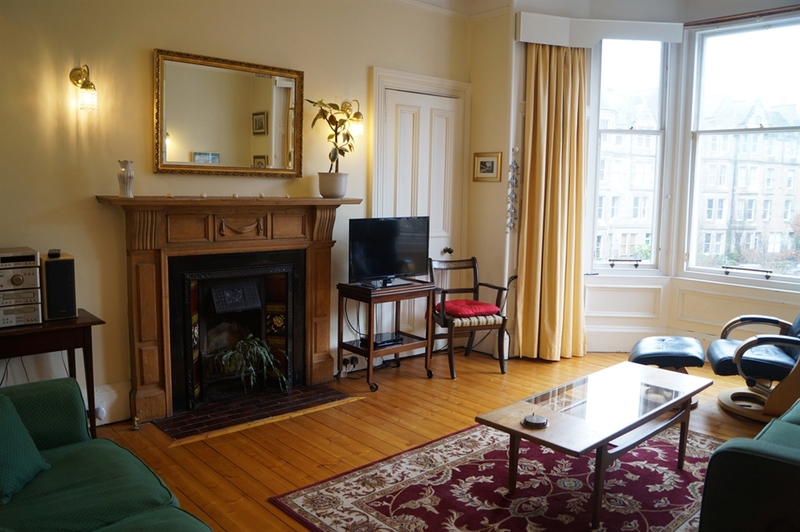 This beautiful and spacious 2nd floor apartment is the ideal base for families (or groups of friends or work colleagues) to use as a base for exploring evening that Edinburgh has to offer. 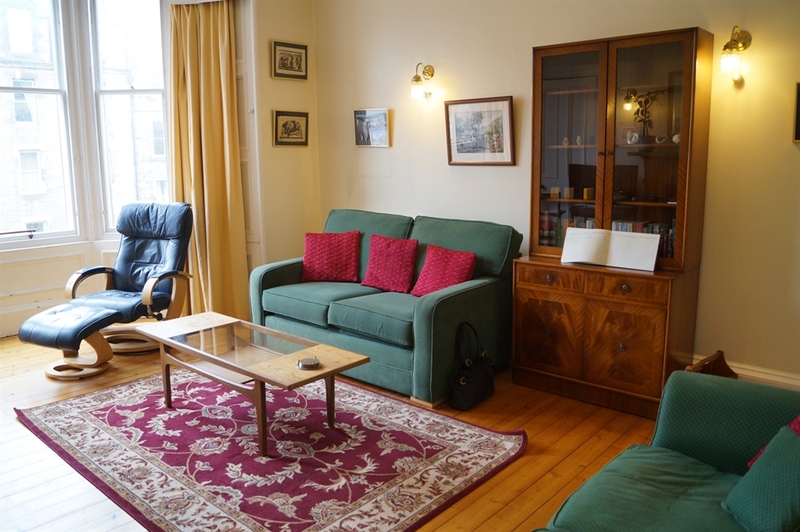 Roseneath Apartment is located right beside The Meadows and is a lovely relaxing home to come back to after a day’s sightseeing in the capital. We've got some last minute availability at our Roseneath Apartment this Spring. 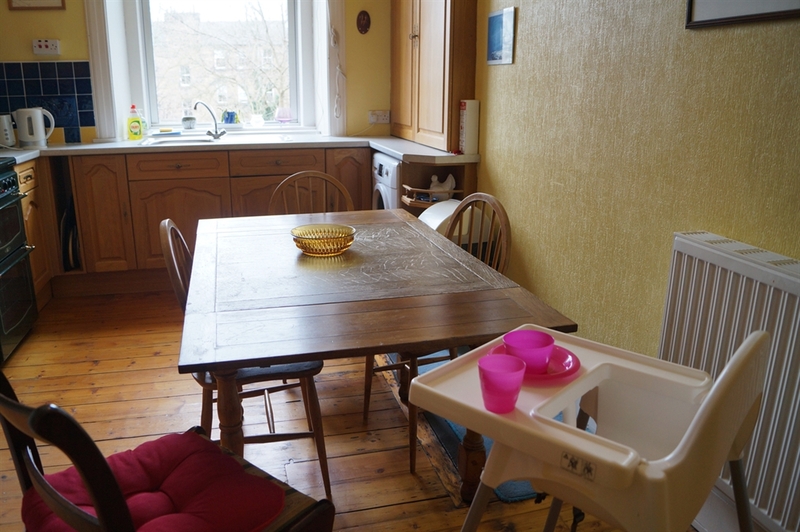 This bright, spacious, 3 bedroom second floor flat is ideal for families or groups of friends and is available to let for a minimum of 3 nights. Prices start from £348 for the 3 nights (based on 4 sharing). If you're able to stay a bit longer you can save an exta 9% on bookings of 5 nights or more. To book, just visit our website and enter the dates you'd like to stay. The bright living room has two sofas, a coffee table and recliner chair and has lovely view towards Edinburgh Castle in the distance. The living room is also packed full of period features such as sanded wooden floors, a period fireplace and ornate cornicing. 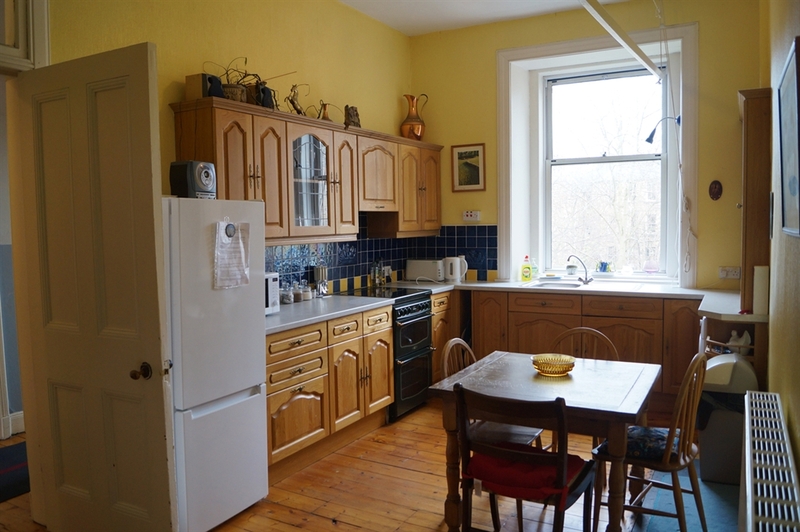 The dining kitchen, situated at the rear of the property is fully equipped and comes with crockery, cutlery, glasses and kitchen ware, as well as fridge, freezer, cooker and microwave. There is also a recess just off the kitchen which houses the washing machine and tumble dryer. The large front bedroom has a 4-poster bed and wardrobe with plenty of space to hang clothes. 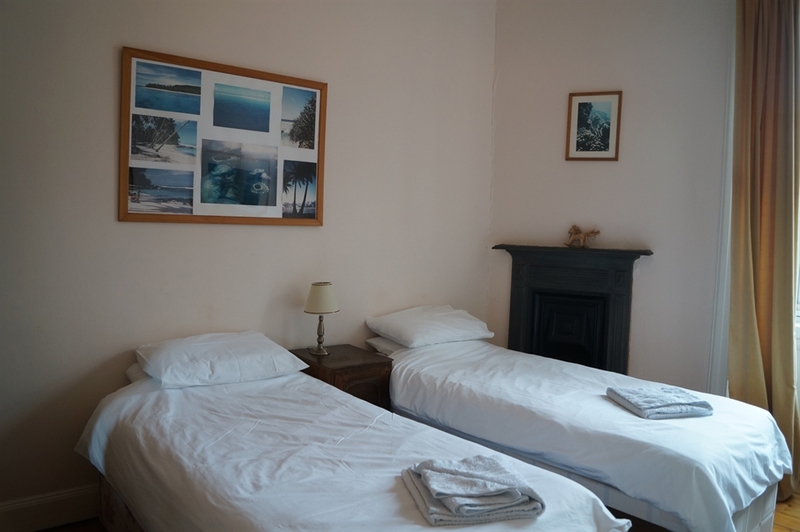 The second bedroom contains 2 single beds, making it an ideal room for children. 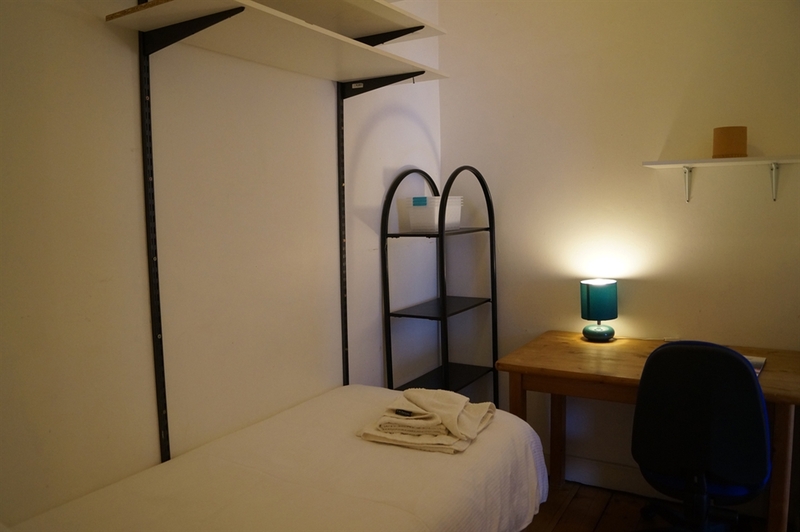 The office/study also contains a 4th bed (which can be hired for a supplementary fee), as well as a desk, chair and shelving making it ideal if you need to work whilst you're staying in Edinburgh. The bed could also be set up in the living room if preferred. The cost of gas and electricity are included within the rent for stays of less than 4 weeks. For the comfort of all our guests the apartment is non smoking and pets are not permitted. Amenities (food shops, restaurants, takeaways, bars, cafes etc) within a few minutes’ walk. 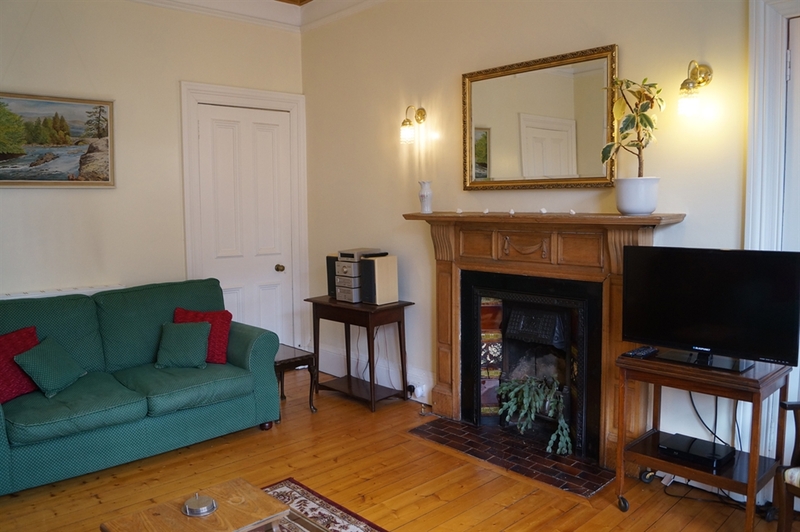 Roseneath Apartment is an ideal base for exploring the city. It's close to several bus routes which makes it easy for getting around the city. If you can, we recommend downloading the Lothian Bus app which allows you to buy tickets direct from your phone and can you plan your route around the city. Edinburgh is also a great place to explore on foot. 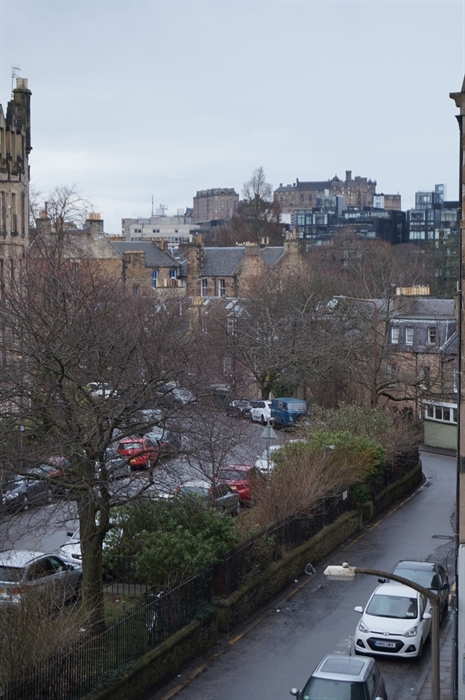 You can easily walk into town through the University of Edinburgh and The Meadows which is an area of open park right beside Roseneath Apartment. The Meadows originally a loch supplying Edinburgh with water until it was drained in 1740. The area is now ideal for walks or jogging no matter what the time of year, but is lovely for enjoying a picnic during the warm summer months. It's great for families too with a children's playpark. The tennis courts can also be hired from Edinburgh Leisure. 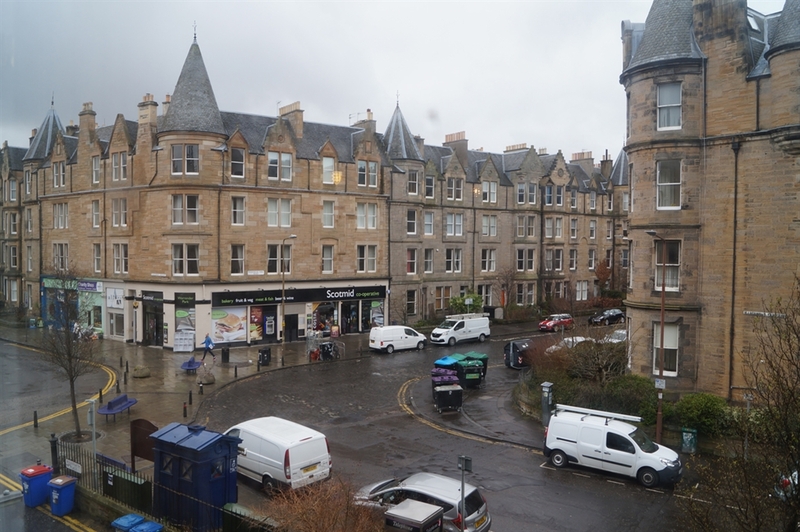 Marchmont still retains that community neighbourhood feel thanks to the array of local shops, cafes and restaurants so an ideal place to eat out whether for breakfast, a snack, or an evening meal. The area also a Co-Op and Sainsbury's Local store for stocking up on the essentials whilst staying at Roseneath Apartment. 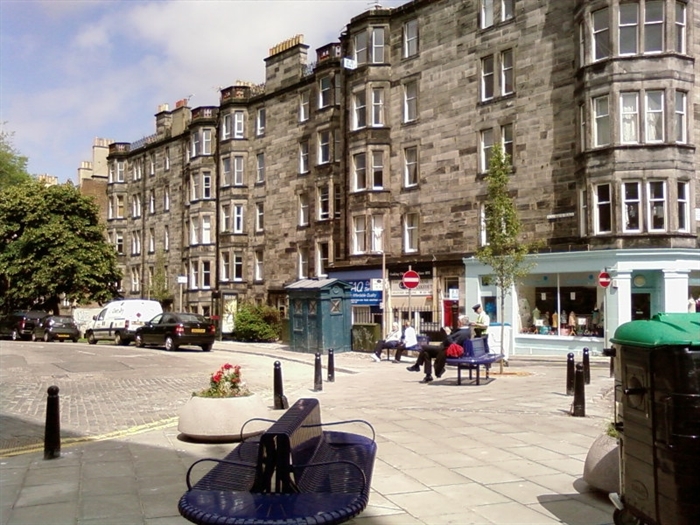 Marchmont is also famous as being the home of DI Rebus from the fictional Ian Rankin novels. Bright sunny living room Bright sunny living room Ornate fireplace in living room Living room showing chair and 2 sofas Period fireplace. 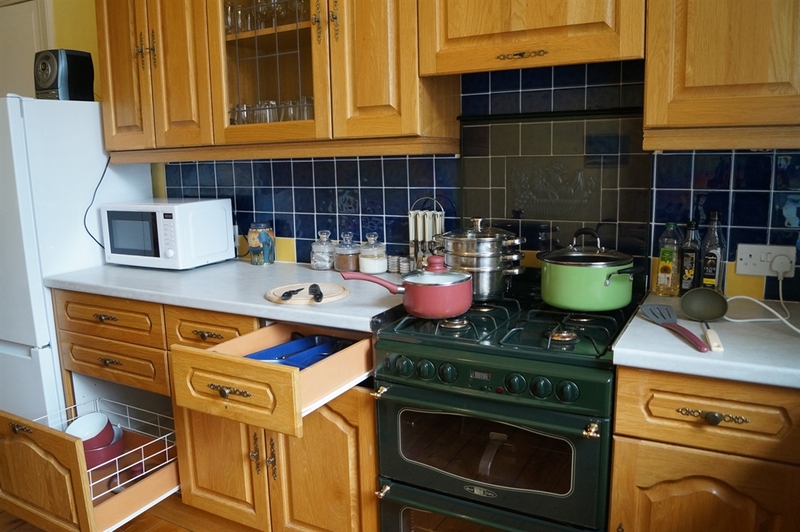 Fully fitted and equipped kitchen Cooking area in the kitchen showing array of pots and pans with come with the property. Kitchen table and high chair Roseneath apartment back bedroom Study with desk and shelving (a bed has also been set up). 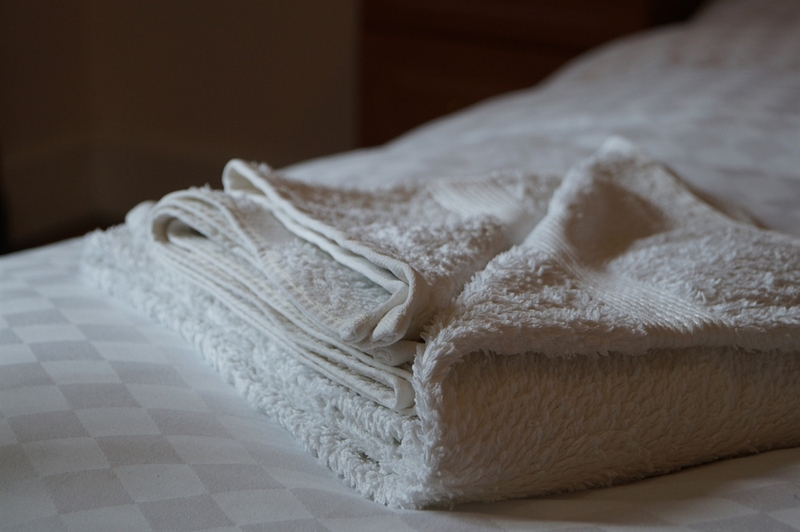 White towels (all towels and linen are included in the rental). 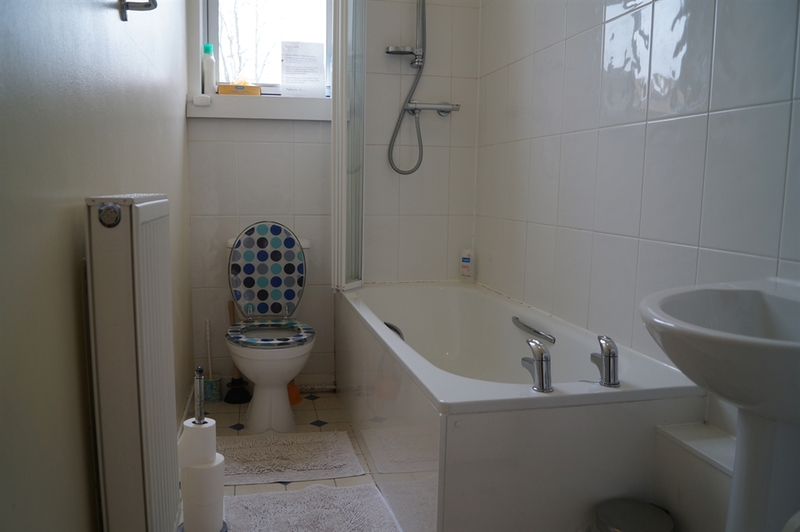 Bathroom, showing bath with shower over the bath. Street view looking up towards Roseneath Apartment. View of Edinburgh Castle from living room window. Street opposite Roseneath Apartment. Restaurant exterior. Scotmid shop frontage. An example of some of the local independent shops in the area. 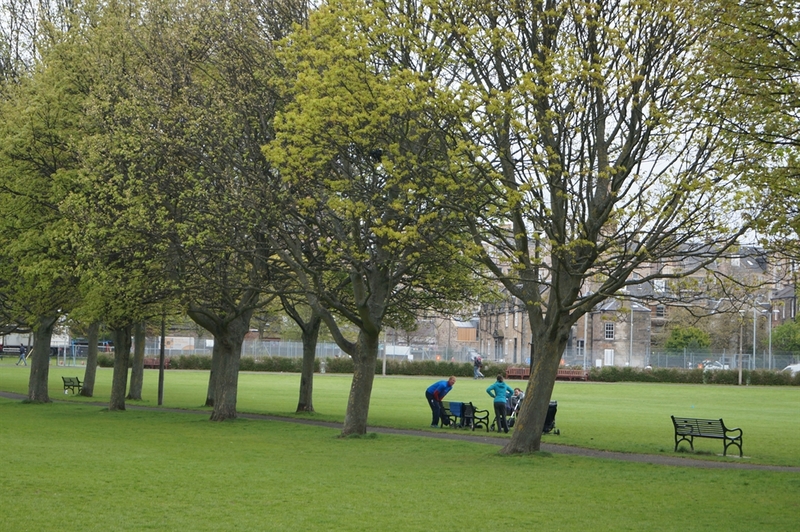 The green spaces in the Meadows (short walk from Roseneath). The Meadows.